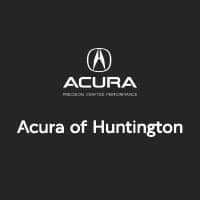 At Acura of Huntington, we are proud to be your Huntington, NY Acura dealers that take a personal approach to the car shopping process. We aren’t out to simply sell cars and make numbers; we genuinely want to help you find the right fit for you and your family. If an SUV is something you’re considering, you won’t want to miss out on the 2018 Acura MDX. The 2018 Acura MDX is a great option for large families, thanks to its seating capacity of up to seven with an easy-access third row. A roomy 14.9 cubic feet of cargo space is located behind the third-row seat, which can be further extended to a total 68.4 cubic feet of total storage room with the second- and third-row split-folding seats engaged. The new Acura MDX near Long Island, NY boasts ample power and a smooth ride with a 3.5-liter V6 engine worth 290 horsepower and 267 lb-ft of torque and nine-speed automatic transmission. The Acura MDX also offers the option for SH-AWD® in place of standard front-wheel drive. This new Acura model for sale features plenty of new technology with an advanced infotainment system comprised of dual screens, plus Bluetooth®, Apple CarPlay™, Android Auto™, and Pandora®. As the 2019 models begin rolling onto our lot, we have a feeling this 2018 SUV is going to sell fast, so come by for a test drive as soon as you’d like. Right now, we are also offering financing specials on several 2018 Acura MDX models, so feel free to call or come by to inquire about this special pricing. We look forward to working with you!